Enjoy our public web pages! 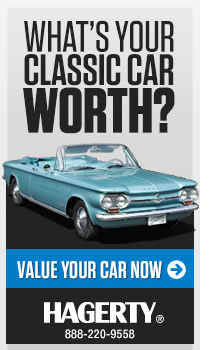 This is the official website of the Corvair Society of America! Topics include CORSA facts, CORSA event calendars, vendor lists, merchandise, classified ads, the Corvair Preservation Foundation and its museum exhibits, and of course CORSA membership. Extra content for CORSA members! Login! When you join CORSA, you'll have access to even more content at this site, including databases where you can register your Corvair and locate individual CORSA members, galleries where you can post photos of your Corvair, online forms for event registration and voting, and complete archives of all CORSA publications issued since 1972 when CORSA was established. You can download any or all of our award-winning CORSA Communiques, etc. All this is in addition to other membership benefits. Click HERE for more information about membership! Have fun while you visit our website. Use the handy navigation menu on the left side of this page to learn more about us! Northern Virginia Corvairs welcomes you to Virginia for the 40th Vair Fair! A true mini-convention hosted by the Central New York Corvair Club.